Blogging is the most effective method for increasing traffic with SEO taking a close second according to the ROI Report developed by HubSpot and MIT. We heard that loud and clear and are excited to share a new feature with you. 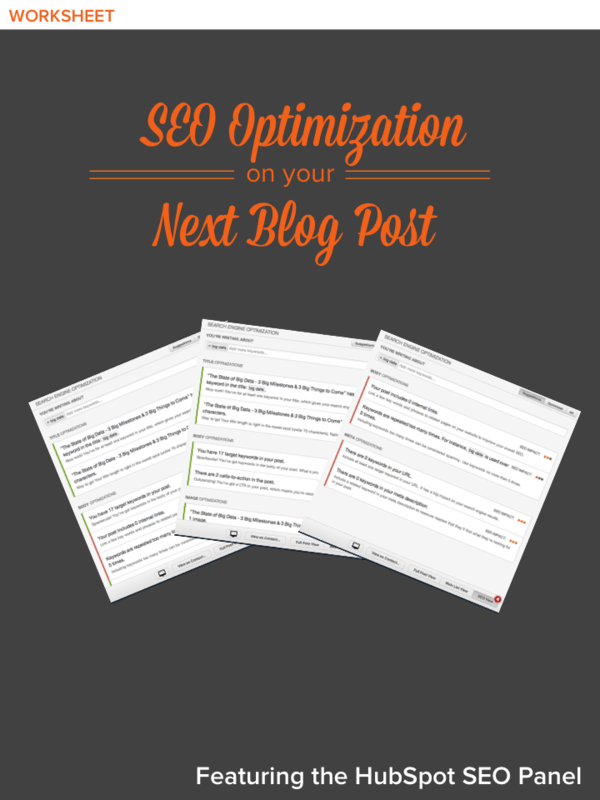 HubSpot has launched an SEO Panel for all COS blogs that will help you learn how to optimize your blog posts for the most important SEO elements. But before we get into using the panel, let's start with a worksheet to walk you through everything you need to know about SEO optimization.